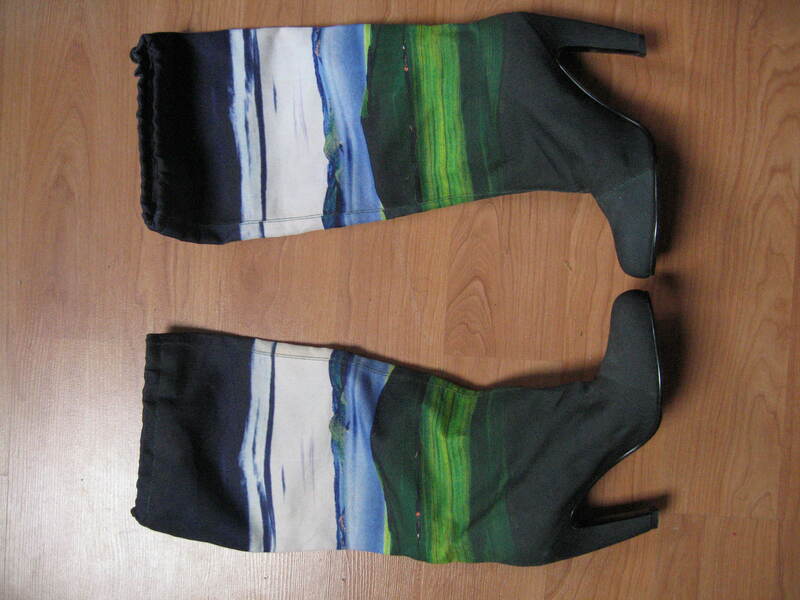 These ever so slightly mad boots from wacky Canadian designers, Fluevog, are called “Tailor”. 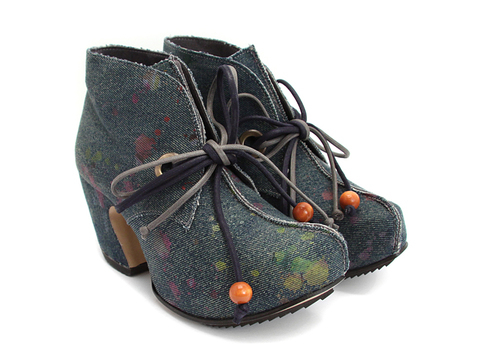 The vegan version is this paint-splattered denim material, but there is also a non-vegan brown version (so watch out). I’m totally loving the curved heels and the visible seams. Being me, I wish they also came in plain black fabric, but denim can be pretty versatile too. They’re definitely different. If you like the material but not the style, check out the Guide mary janes they make, which come in the same material but are, well, chunky mary janes. They’re also pretty awesome. 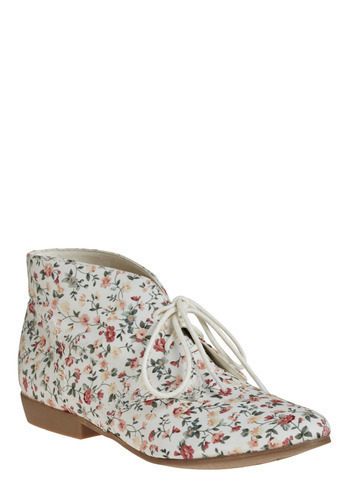 You can get both of these from the Fluevog site. Very cool! I’m glad I found this; cute, quality vegan shoes are such a pain to find.